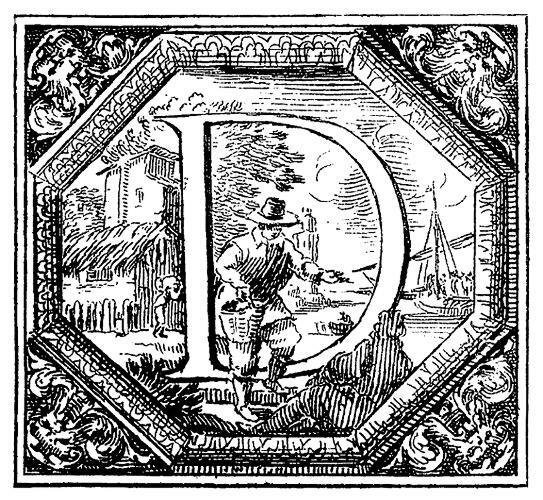 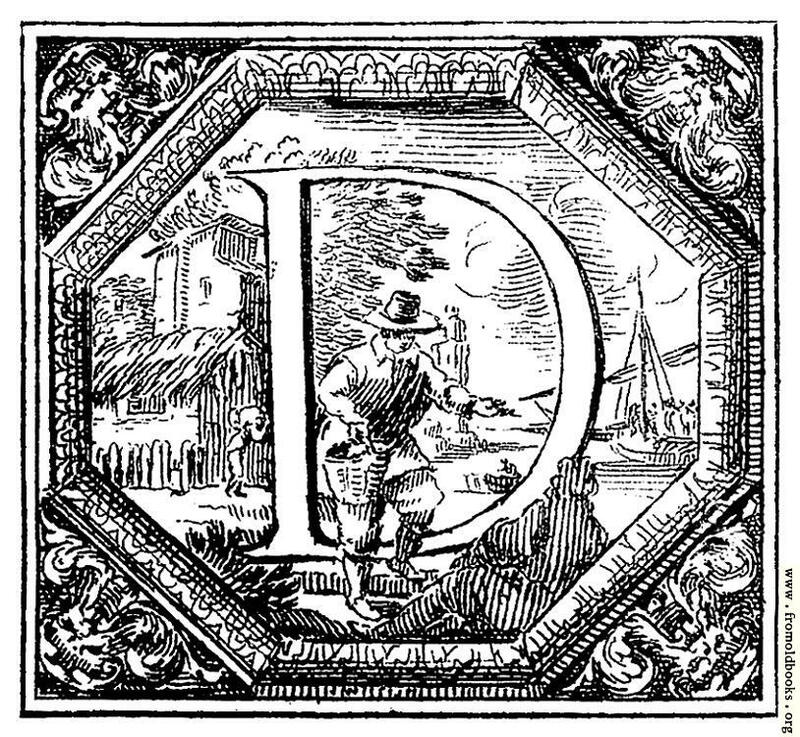 Initial letter “D” from a historiated alphabet by Valerio Spada. 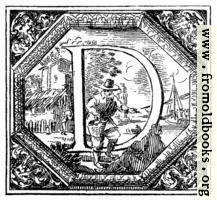 Seventeeth century Italian people: a man wearing a Dutch hat and boots steps through the letter D carrying a basket. 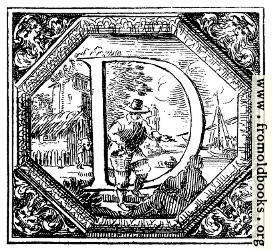 In the background a ship, and a building, I think a church with a thatched roof. A surrounding octagonal frame has bearded faces in the corners.